PLEASE READ THIS and RESPOND TODAY! Go to www.federalregister.gov/documents/2016/08/15/2016-18103/control-of-com. and leave a comment today. The Center for Disease Control & Health and Human Services has 10,000 protests; but needs more to stop them. They are trying to seize the UNCONSTITUTIONAL right to detain,quarantine, & force health treatments on anyone anytime that they deem MAY HAVE BEEN or will be exposed to any communicable disease with fines up to $500K for refusal.This will not only take away the right to informed consent but pave the way for incarceration of those who disagree. It is free rein & huge profits for Big Pharma . This goes even beyond the Model States Emergency Health Powers Acts secretly legislated in EVERY state after 911 which basically allow every governor to suspend the Constitution in their state in a “declared pandemic” [for which we now know can be 10 cases of Zika virus]. South Carolina law includes verbiage that the govt could suspend travel, right to gather,quarantine and seize any & all assets you own for the greater good without compensation. Lastly the people were not to be told of this law, but you can look it up in your state constitution if you try hard enough. If the above link does not work try www.regulations.gov and look for document CDC-2016-0068. Time is of the essence comments end on October 14th. Don’t let them sneak this through. On December 1, 2015, Mike Adams principal of the well-known alternative news website NaturalNews.com, just published a lengthy article touting Seattle-area Attorney James Robert Deal for proposing a lawsuit against forced vaccinations in America. Embedded in Adams’ article is a link to another article published by another well-known alternative news website StateoftheNation.net writing about the same thing on February 26, 2015. The more than nine-month lapse between these articles indicates that Deal Esq. is being praised by Adams for being a lawyer thinking about doing something to stop forced vaccinations, rather than for this lawyer actually doing what he says he is contemplating. What seems to be glaringly missing from either of these well-known alternative news sites’ reports about Deal Esq.’s proposal for a forced vaccination lawsuit in America is, that this was already done six years ago concerning the most dangerous of these threats: the fraudulent H1N1 influenza pandemic emergency declared by the World Health Organization and the US government in 2009 under the blatantly fascist Bush II administration. 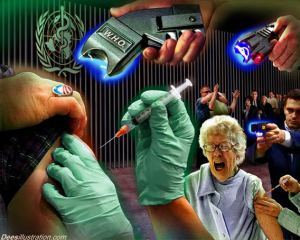 That lawsuit was Campbell vs. the United States: Comprehensive Federal Case Against Forced H1N1 Influenza Vaccinations/Medical Martial Law. Further, the pro se plaintiff of Campbell vs. the United States several times attempted to contact alleged health freedom advocates Mike Adams — to get at least some announcement of this public interest case on his well-known website , and Deal Esq. — for some pro bono help if this federal case to protect the American people and the people of the world ever came to court, she received no acknowledgement from either of them whatsoever – and obviously still does not. Even further, Adams maintains that Deal Esq. is equally enthusiastic about taking legal action against fluoridation, GMOs and “smart” utility meters. In June 2015, this writer attended an activist meeting to which Deal Esq. came late and left early. He left early when a discussion began about a so-far successful alternative pro se legal action actually being taken to prevent the Seattle city corporate government and its city owned utility from imposing “smart” utility meters on the people of Seattle. So it would seem that Deal Esq.’s interest in stopping forced vaccinations, fluoridation, GMOs and “smart” utility meters is actually located somewhere in the future, and may be rather selective and superficial in nature. 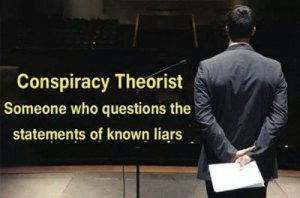 As is Mike Adams’ and the alleged alternative news media’s reporting on pro se legal actions by Americans to stop forced vaccinations/medical law and “smart” utility meters, conveniently omitting any acknowledgement of what so far has been accomplished others on their and others’ behalf, both in the present, and in the recent past. We need to ALL stand together to protect Vaccine Exemption Rights now! Parents are the rightful decision-makers for their children’s healthcare. Please join us in protecting the fundamental right to decline or modify vaccines or other injections or treatments recommended by government for children. Mass vaccination policies are made at the state level – where your action to protect your rights is urgently needed! Click On Your State Below NOW to defend the right to make informed, voluntary decisions about vaccinations. Join Washington, Oregon and Maryland in successfully convincing legislators to stop bills that would restrict the legal right to make voluntary choices about vaccinations. Click on Your State Below NOW to tell your legislators that the right and responsibility for making medical intervention decisions for preventative care for your family belongs to you! California SB 277, eliminating personal belief exemptions to vaccinations, will be heard in the Judiciary Committee on Tuesday, April 28, 2015 at 1:30 P.M. in Room 112. SB 277 was amended and passed out of the Education Committee on Wednesday, April 22, 2015 on a vote of 7y:2n. The Education Committee heard SB 277 on April 15 but it postponed voting on the bill until April 22 to give Senator Pan more time to address several Senators’ unresolved concerns. The amended bill now excepts pupils in a home-based private school and students enrolled in an independent study pursuant to specified law from the prohibition described in SB277. SB 277 passed the Senate Health Committee, 6y:2n, on April 8. Read the bill and check its status here. Take Action Here. Connecticut HB 6949, restricting religious exemptions to vaccination, was substituted in the Joint Committee on Public Health on March 18th. The current version of the bill still requires exemptions to be notarized, but the section requiring education has been removed. Read the current bill here. Take Action Here. Illinois SB 1410, originally severely restricting religious exemptions to vaccination, was amended on the Senate Floor and was passed out of the Senate, 42y:14n, on April 23. The Senate floor amendment makes it clear that the bill does not give a health care provider grounds to determine a religious exemption but the bill still is mandating health care provider visits and education before using the exemption; read the floor amendment here. After the Senate Public Health Committee passed the bill on April 14, 2015 (6 yeas; 3 nays), the bill received its 2nd and 3rd readings. Now SB 1410 will head to the IL House. Read the senate bill here. Take Action Here. HB 2560, now different from SB1410, would restrict the religious exemption to vaccination in IL by requiring parents present to the school authority a signed certificate detailing their grounds for objection to the immunization. The grounds for objection must set forth the specific belief that conflicts with the immunization. The certificate must also be signed by the health care provider and submitted every year. Philosophical and moral reluctance are not sufficient for an exemption. The local school authority would decide if the content of the certificate of religious exemption constitutes a valid religious exemption. Maine LD 606 would eliminate personal belief exemptions to vaccination and was referred to the Health and Human Services Committee on 3/3/2015. Current law allows exemptions because of a person’s philosophical beliefs from immunization requirements for students in elementary and secondary schools and postsecondary schools and employees of nursery schools and health care facilities. This bill would remove those exemptions. The bill also directs the Department of Health and Human Services to remove any immunization exemptions because of philosophical beliefs from its rules. The bill is sponsored by Rep. Ralph Tucker. Read the bill here. Take Action Here. Minnesota SB 380/HB 393 would eliminate the conscientious belief exemption and replace it with a restricted personal belief exemption. SF 380 passed the Senate Health, Human Services and Housing Committee, as amended, on March 18 and was read a 2nd time on March 23, 2015. SF 380 is currently on general orders in the Senate and could be voted on any day. H.B.393/S.B 380 would require a person to obtain a statement from a physician that provides immunizations verifying that the physician has reviewed with the parent or guardian, or the child if emancipated, information about the risks and benefits of the vaccines that is consistent with information published by the Centers for Disease Control and Prevention. Read the bill here. Take Action Here. New Jersey SB 1147, restricting religious exemptions to vaccinations, is still awaiting a Senate floor vote after passing out of committee on March 9. Both legislative chambers are currently on a budget break and so the earliest the Senate could vote on SB 1147 is May 18; the Assembly’s next voting session is on May 14. Continue to contact your NJ State Senator and ask them to VOTE NO or ABSTAIN on S1147. Read the bill here. Take Action Here. New Jersey AB 1931, restricting religious exemptions to vaccinations, passed the Assembly Health and Senior Services Committee, 9y:1n, on March 16 and is awaiting a full Assembly vote. Both legislative chambers are currently on a budget break and so the earliest the Assembly could vote on AB 1931 is May 14; the Senate’s next voting session is on May 18. 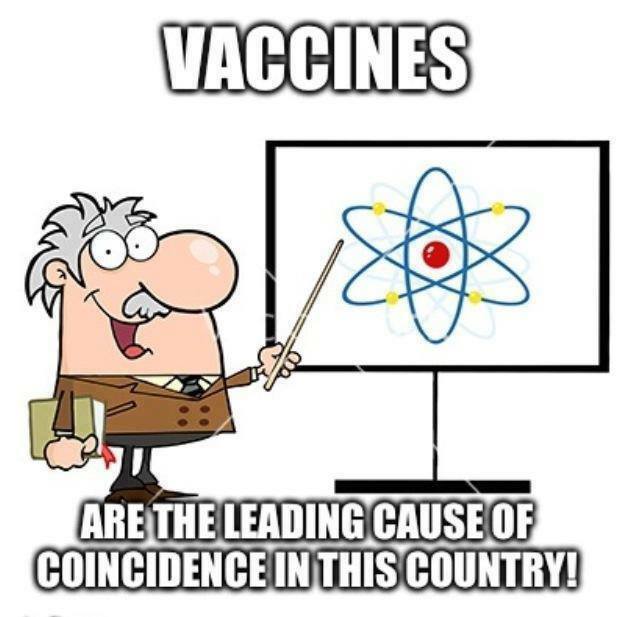 AB 1931 requires a written statement “explaining how the administration of the vaccine conflicts with the bona fide religious tenets or practices of the student, or the parent or guardian.” As such it requires parents to explain and ultimately justify their deeply held personal and private religious beliefs to the government. Read the bill here. Take Action Here. North Carolina SB 346, eliminating the religious exemption to vaccination, died on April 2! Congratulations North Carolina! The new law would have added new mandates for school children in NC. If this passed children would have been required to receive hepatitis A, hepatitis B, rotavirus, diphtheria, tetanus, whooping cough, poliomyelitis, red measles (rubeola) and rubella. (rubeola), rubella, mumps, pneumococcal, influenza, varicella and meningitis vaccines, in addition to any other virus, disease, or condition against which the United States Department of Health and Human Services, Centers for Disease Control and Prevention, Advisory Committee on Immunization Practices (ACIP) recommends. Current requirements do not include Hepatitis A, rotavirus, pneumococcal, flu or meningitis vaccines. Read the bill here. Take Action Here. Pennsylvania HB 883, a bill to eliminate philosophical belief exemptions from vaccination requirements, was referred to the House Committee on Health on 4/6/2015. The current exemption law in PA includes an exemption for “on the basis of a strong moral or ethical conviction” in addition to religious beliefs. Read the bill here. Take Action Here. Rhode Island SB 381 would eliminate religious exemptions to vaccination requirements. A hearing was held on SB 381 on 3/26/15 by the Senate Health and Human Services. The current status of the bill is that it is being held in committee for further study. Continue to contact members of the Senate Health and Human Services Committee and your own State Senator and ask them to oppose SB 381. Read the bill here. Take Action Here. Texas HB 2006, a bill that would repeal conscientious and religious exemptions to vaccinations, was referred to the Public Health Committee on March 11. Read the bill here. Take Action Here. Vermont HB 98 would eliminate philosophical belief exemptions to vaccination. On April 22, the Vermont Senate approved an amendment on HB 98 to remove the philosophical exemption to vaccination 18y:11n and then passed the bill out of the Senate on Third Reading by vocal majority (no roll call taken). Read the bill here. Take Action Here. Additional bills relating to vaccination exemptions and immunization registries for you to support and oppose can be found at NVIC.org, here. Stand Up in Your State Today! Schedule a face-to-face meeting with your state representatives. Find out who your Representatives are here. Minnesota Lobby Day to Oppose SF380, Vaccine Exemption Modification bill. RSVP for 4/14 Minnesota Lobby Day to Oppose SF380, Vaccine Exemption Modification bill. Many Minnesota legislators still haven’t heard from us and all of them need to know we’re still watching SF 380 and won’t go away until it does! Join us to create a large physical presence that will keep the opposition strong around this issue. RSVP Here, or just show up, to thank our legislative supporters and to educate those who are on-the-fence about why opposing SF 380 is the right thing to do. NHFA looks forward to seeing you there!!! Don’t forget to invite friends and family too! This Lobby Day will begin with introductory remarks from several leaders driving this opposition, such as Jim Abeler and colleagues, followed by a brief Lobbying 101 training, before we break into small groups. Each small group will visit one or more target legislators with and will be led by a member of one of the organizations opposing this bill. You can self-select which group(s) you’d like to join on the day of the event. Talking points and leave-behind materials for legislators will be provided for you. Show up for as much as you are able. Children are welcome. RSVP Here. SF380/HF393 eliminates the current conscientious belief exemption to vaccination for school children in Minnesota and replaces it with a new personal belief exemption that must include a statement from a physician and must be on a form developed by the commissioner of health. This bill will make it more difficult for parents who wish to decline vaccines, use a different schedule for vaccines than the recommended one, or who wish to skip one of the vaccines, or more, to get an exemption. Parents will be required to schedule a visit a physician who will give them a presentation on CDC vaccination perspectives. Please help us keep the pressure on! Stand up for vaccine health freedom rights and show the legislators that we won’t let them restrict our rights!!! RSVP Here. Take Action on SF 380 by sending a letter of opposition to the MN Senate here.